Regular readers of aldoincucina.com will remember that I recently catered an event for Seymour College at the launch of their Creative Industries program. This was very much the beginning of taking the leap from food blogger and recipe sharer to a cook and caterer. And what an enormous feat it was, serving up a menu of Italian crostini, aperitivi and dolci to 200 punters! But it was a feat that me and my team sailed through with ease, good humour and lots of great energy. The feedback on my menu was overwhelming and encouraging with the likes of renowned chef, Dorinda Hafner, praising the flavour combinations, the generosity of the servings, and the creativity of menu. And so, Aldo In Cucina food events were launched! “But what exactly are these food events of which you speak, Aldo,” I hear you ask?  In 2019, Aldo In Cucina launches a series of in-home Long Italian Lunches! I want you to imagine that you have set up a table for yourself and up to 12 guests. You have told them to prepare for a long afternoon of rustic homemade Italian food and locally produced Italian-style wines. There will be music, atmosphere, friends gathered around the table, laughter, perhaps a bocce game or two, and a good six courses to graze on starting from aperitivi on arrival with a glass of Prosecco, handmade pasta, a traditional Italian main course with sides, fruit and cheeses, and a decadent dessert complete with coffee and after-lunch digestivo to help round off the meal. And best of all – you won’t have to lift a finger! Aldo In Cucina Long Italian Lunches are to designed to be intimate and exclusive events that bring the Italian tradition of the Sunday long lunch to your home. All dietary restrictions can be catered for – Italian food is very inclusive! There are a few Lunch Launches planned toward the end of 2018 and early 2019. I have also been in conversation with some great boutique winemakers in the Adelaide Hills and Barossa Valley who make great Italian-style wines here in South Australia. I use their wines a lot in my cooking (and drinking), and I am keen to work with them as these lunches take off. Who knows, Aldo In Cucina may pop up at a cellar door near you! Make sure you are following aldoincucina.com and @aldoincucina on Instagram and ‘Like’ Aldo In Cucina on Facebook to keep up with the latest as details about launch events and lunch bookings become available. I look forward to celebrating Italian food and wine with you in 2019! It’s the Most Wonderful Time for Aperitivo!